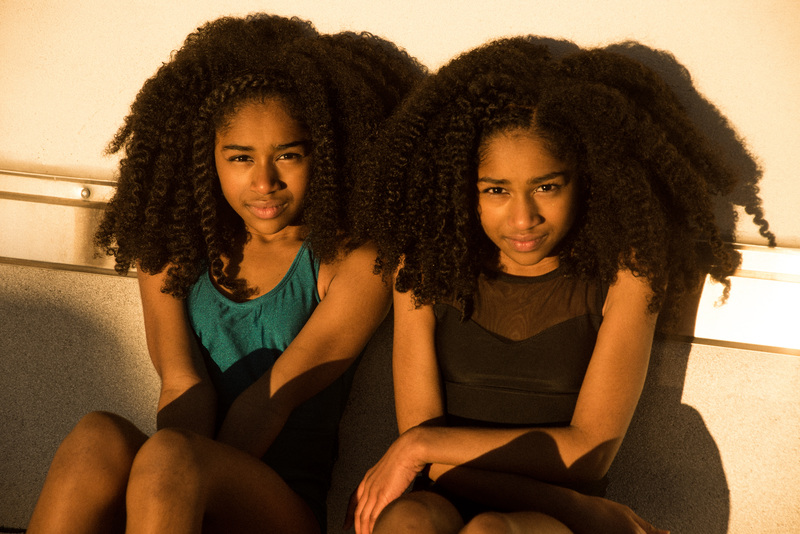 Beautiful, intelligent, gifted, what else is there left to say regarding twelve-year-old Trinidadian twin dancers; Imani and Nia Lindsay…well quite a bit. One being these young girls are wise beyond their years. Not wise in a archetypal Hollywood child actor who is ten going on forty type of way. 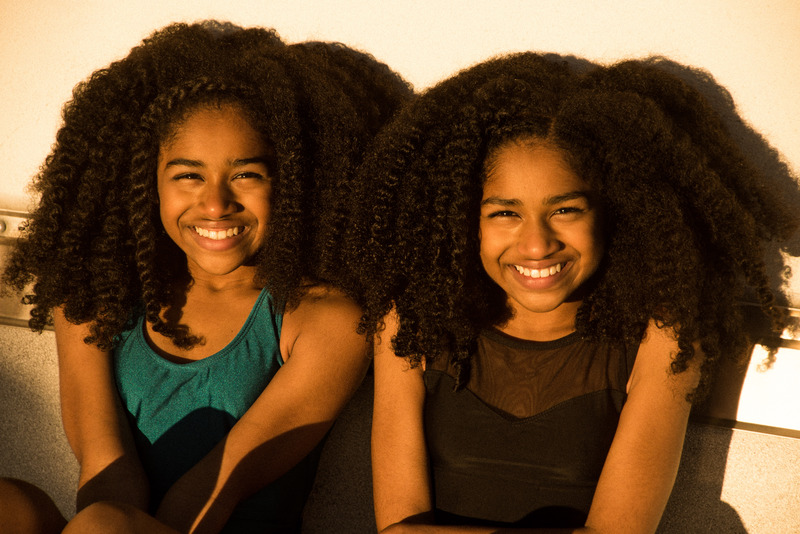 Wise in a way that their bright dispositions exude a healthy innocence that every child should possess and this is quite evident in the second part of our exclusive Urban Bush Babes feature of the Lindsay twins. 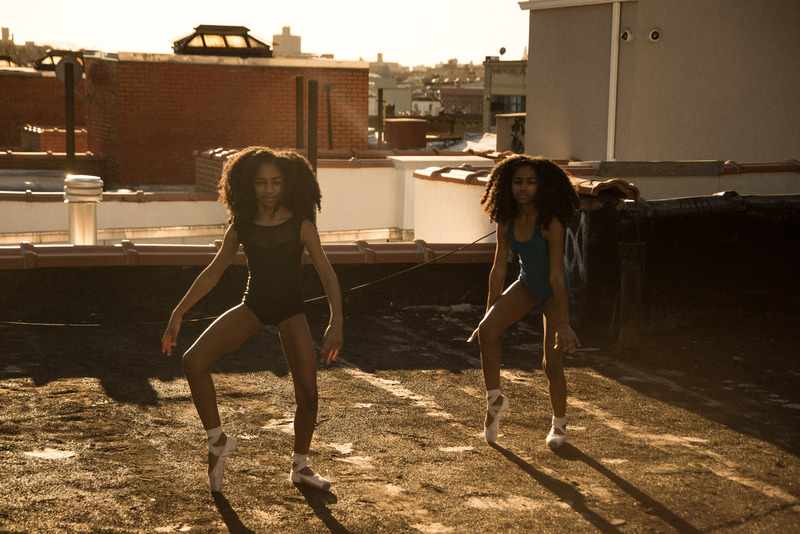 span style=”font-family: Calibri, sans-serif; font-size: small;”>Photographer Xavier Scott Marshall captured the twins in action for the first part of this series in an editorial montage and we are back for a more in-deph look as we discovered their work ethic, thoughts on the pros and cons of social media, Misty Copeland and more. Read their interview and see why loving everything these ladies believe and stand for is inevitable. Nia: We live in Ontario, Canada, in a suburb just outside of Toronto. 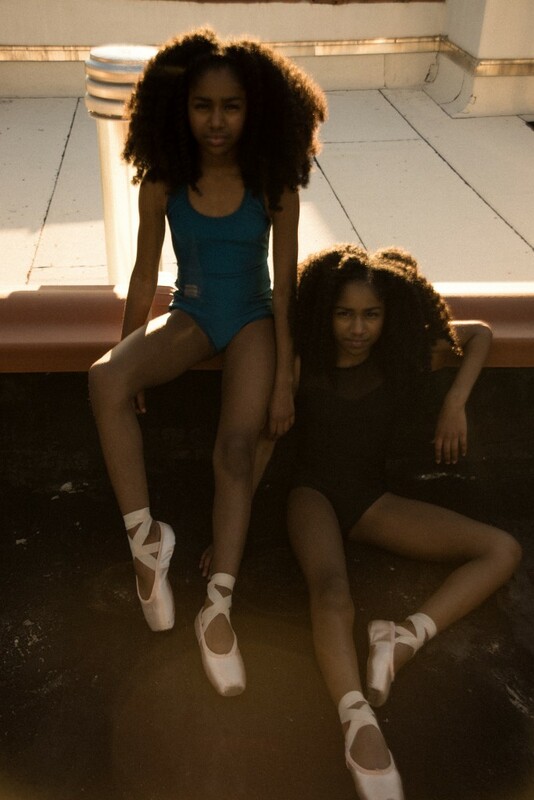 Imani: I’m actually living in residence at the ballet school that I attend, The National Ballet School of Canada. It’s located in Toronto. My mom picks me up though, on the weekend from Saturday to Sunday and I spend all my breaks at home with my family. 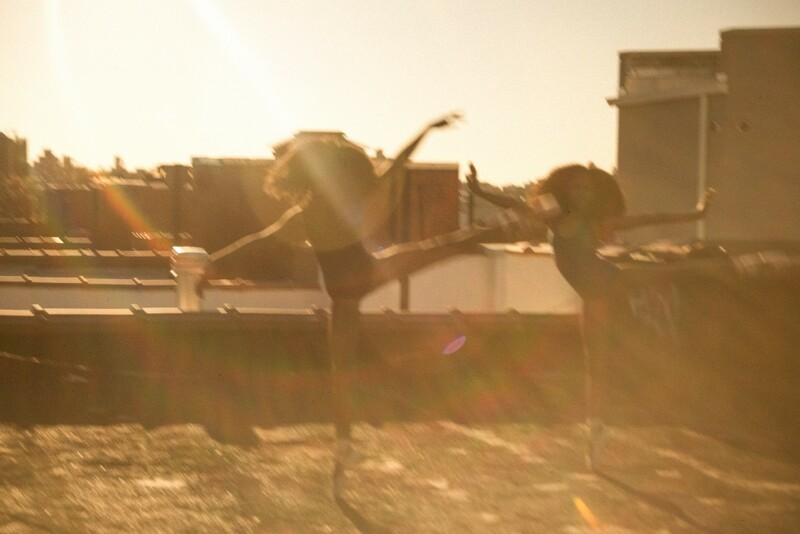 When did you start dancing and what inspired you to do so? Nia: We started dancing around 3 yr old. 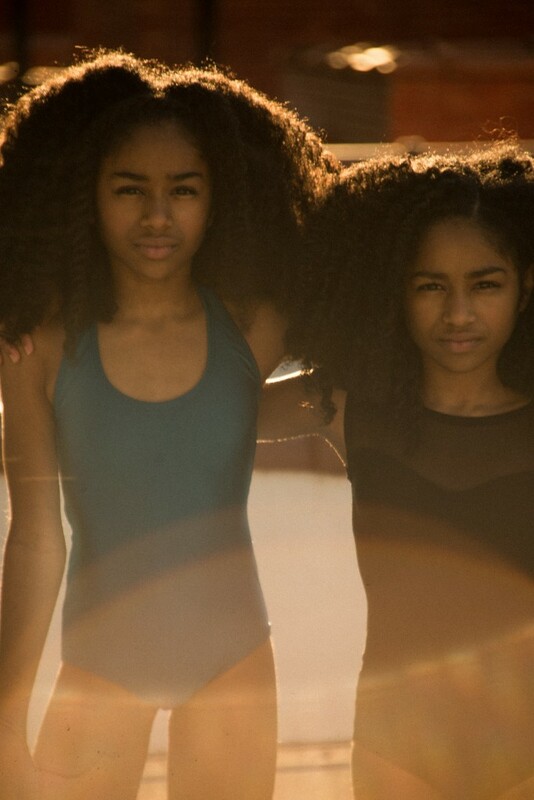 Imani: Our mom put us in Ballet first, but we were always dancing and stretching with her at home before that. We did gymnastics too when we were younger and were in a special gymnastics program when we were 4 and 5. 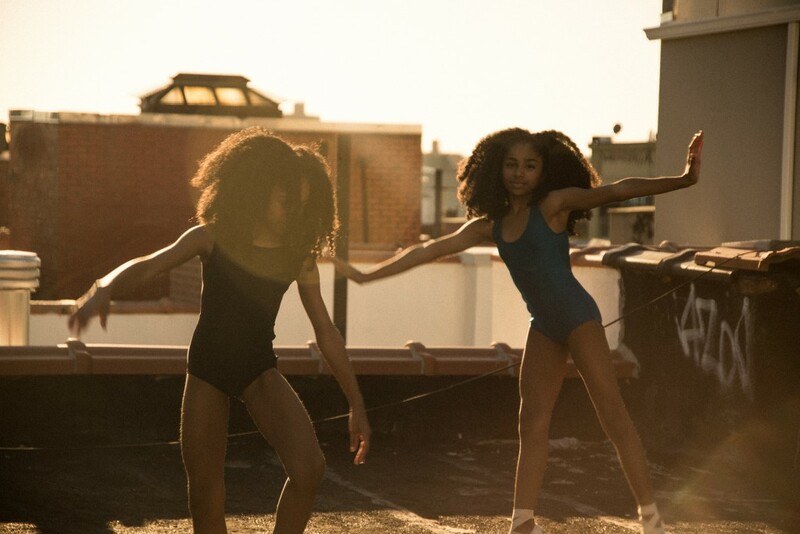 Nia: I guess we were inspired mostly by our mom, who put us in, she is a dancer and was a dance teacher as well, so it was natural. Plus she used to stretch us and work our feet when we were little too. (laugh) But we loved it. We had these little tutus that we never wanted to take off. We also went to the most of the classes she used to be teaching and would sit in the back and watch or assist. So we were inspired by the older dancers. Nia: Imani’s really good when it comes to style and putting outfits together. She has a lot of fashion sense. She helps me when I need to pick out an outfit, or match colors or styles. Imani: Nia’s really funny and great at things like editing and computer stuff. I’m good too, but she can usually figure out anything. She’s also obsessed with music and has a great ear for different beats and things like that. This is the first time you have been apart for such an extended time due to Imani’s residency. How has the experience been so far and what do you miss most about each other? Nia: It’s been ok, I guess. Some days are harder than others. I really miss watching videos with her, because we would laugh a lot together. Imani: It’s been alright, but I really miss when we would be at school together and when we’d meet up on our breaks and stuff, because we had different classes and different teachers. Nia: Yeah sometimes when I’m at school I have to remind myself that she’s not there for me to meet her on break. We’re still getting used to it. Do you think age is a factor in determining what you want to do in life? Nia: I don’t think it’s a factor necessarily? I just think sometimes you’re not sure what you want to do exactly, when you’re young. But i think that even if you’re older, if you want to do something you should just go for it. Imani: You can always change what you want to do, though, change your mind, or go after a different dream. You have to be realistic though, like if you want to be a professional dancer and you’re really old, it could be harder. But as long as you are passionate about what you want to do, age doesn’t matter. Nia: Well, with dance, she’s really good at lines and legs and is so flexible. She’s always working on that. In life in general Imani’s just really good at standing up for herself and speaking her mind when she feels like she should. Imani: She’s really good at tumbling and she’s an amazing performer. And she’s always working on her flexibility, scorpions, jumps. She’s also really good at making friends with new people, and making them feel comfortable. She’s really caring. Any obstacles in the dance arena you had to overcome and if so can you name an example and how you moved past it? Nia: Yeah we didn’t want to disappoint our teachers or let the team down. Imani: We’ve also had some problems with some crazy dance moms. But our mom would always tell us to just stay focused, so we did our best to do that. We just used that to make us stronger dancers. 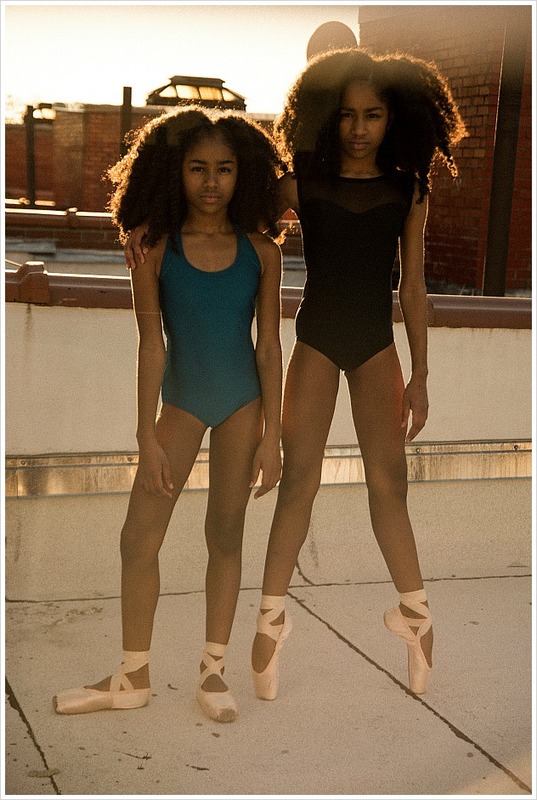 You both have mentioned Misty Copeland as your favorite dancer why is she a role model? Nia: Misty is a role model because she is an African American dancer who is making a difference. She showing my sister and I, who are dancers of color and other little girls of color that it’s possible to be and do things just like other dancers. She’s very inspirational. Imani: Misty is amazing because she’s not afraid to speak up and stand up for herself and other dancers of color. I love that. I’m also very inspired by Tina Pereira who is a longtime family friend also from Trinidad descent who is a first soloist for The National Ballet of Canada. I got to dance with her in the Nutcracker and it was very inspirational. I remember seeing her performing the Sugar Plum Fairy when I was 7 yrs old and seeing the other kids up on the stage, and thinking I might want to do that too someday. And now I have! I think Tina should have been a principal a long time ago. Misty made history when she became the first black principal of ABT last year. That was amazing! It makes me feel like there’s hope for me someday and that I can do it too. How many hours do you practice daily and what does a typical day look like? Nia: Well I go to my regular school from 8:15am till 2:40pm. Then depending on the day, I will go to either rhythmic training or dance, usually 4 times a week, about 12 to 15 hours a week, but it depends. My schedule is changing up this winter, so we are still figuring it out. Imani: My day at the ballet school starts at around 8:15am and we concentrate on academics until roughly 12:50pm which is when we have our daily 2 hour ballet class. After that we have one more academic and usually one or two different dance disciplines, depending on the day, like Pointe, Character dance, Jazz, or Pool Conditioning. That’s only if we don’t have rehearsals, though, like we just finished Nutcracker shows with The National Ballet of Canada, so that time after the last academic was spent rehearsing. We go till about 6:15 or 6:30PM everyday and we also have a ballet class (or rehearsal) on Saturday mornings, and I’ll usually finish around 10AM or 12PM depending. You ladies obvious work very hard, why do you think it is so important? Imani: Because you won’t get anywhere if you don’t. Imani: It’s true! Is that ok? Or do I have to say it some other way? Nia: I think that’s a good explanation. I think it’s important to work hard because it teaches you to never give up, and if you work hard, you’ll obviously get better at what you’re doing and get better everyday. If you work hard all the time, you’ll always improve in some way. Imani: It’s also important because when you work hard, it makes you feel good as well, not just for other things or other people, and you’ll be successful in the end. Nia: My 3 favorite musical artists are Melanie Martinez, Lorde, and probably Selena Gomez. Imani: I mostly listen to Melanie Martinez, but i also like listening to a new artist named Alessia Cara, who’s Canadian. I also like Selena Gomez. 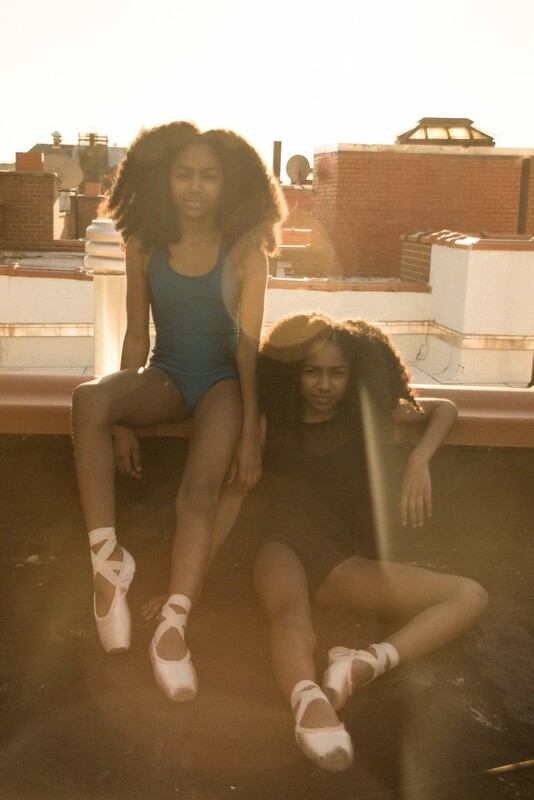 Imani: My favorite styles are Ballet and Contemporary. Ballet mostly because you can work on your technique and core the most, and contemporary because you are a little more free to let out your feelings and emotions in that style and just let go. Nia: My favorite style of dance is Acrobatics, which is like a mixture of acrobatic and gymnastic tricks mixed with jazz or contemporary dance. I also love ballet though, it’s always been one of my favorites and it’s the foundation for all dance. Like, I wouldn’t have the control and technique that i use in acrobatics if I didn’t have my core ballet training. It’s really important. One place you have not been but would love to travel to? Imani: Disney World! Actually Disneyland or Disney World. Nia: Yes definitely Disney World! We’ve been wanting to do Disney for a long time now, just haven’t had the chance. Nia: My favorite food is Sushi….and Pizza. Nia: As a dancer you’re always going to have to face challenges. You’re going to have to be ok when people tell you ‘no’ or when they tell you that you can’t do something. All that will do is just make you stronger and more determined, and you’ll always improve regardless. Imani: Never give up. Because if you give up, you’ll regret it. Imani: Social media is a great way of sharing things with people and seeing what people are up to. It can be inspirational sometimes depending on what you are looking at. The cons are that it can be dangerous. It’s important not to share too much personal information, especially if you’re young, our mom monitors all of our social media accounts. Nia: Well the pros are keeping in touch with your friends near or far, like we try to keep in touch with our friends that we made in Mexico. Cons are that sometimes there can be bullying, and people can say awful things on social media, so you have to be careful. Music is a be a big part of your life. 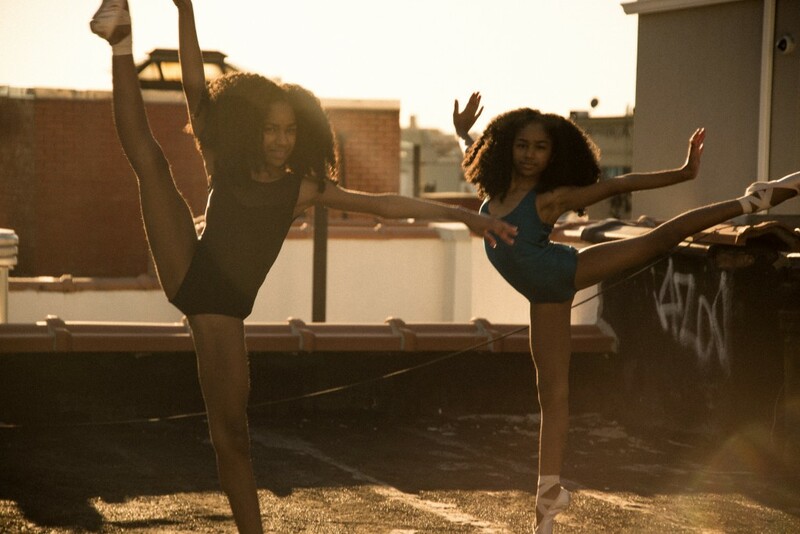 Nia and Imani you edit incredible videos of other dancer’s work at your @edits_bynia and @mostly.dm instagram accounts. Can you tell us what music means to you? Nia: Music means a lot to me, it helps me to relieve stress, it relaxes me and it makes me happy. Imani: Music helps me express how I feel when I’m dancing. Sometimes I just can’t seem to put things into words but when I’m dancing to music, I feel like it helps me let out my feelings. Nia: I also really like it when there’s an artist who writes and sings about important issues that people are facing in everyday life. Not just silly songs about big butts and stuff. I hate that. I also love imagining how I would choreograph dances to different songs as well. Why do you think it is important for people to do what they love? Nia: Usually when you do what you love, you’re happier. You only get one life, so you might as well make it as happy as you can. Imani: It’s important to do something that you enjoy and have a passion for. Otherwise you’ll probably regret it. Your Mother is undeniably supportive of what you do. Define your relationship with your Mother? Imani: Our mom has always supported us, in everything we do. She always makes sure we have the opportunity to try new things and to not be afraid to try. She also keeps us really grounded. Nia: The three of us are really close. We’ve been through a alot together. Anything that’s hard that we go through only makes our relationship stronger, so that’s always a good thing. She’s always there for us no matter what. Imani: She also always says that if someone else can do it, there’s no reason we can’t. She doesn’t let us put limits on ourselves when it comes to trying new things or when we face challenges, but she also lets us do our thing. Imani: Definitely in a Ballet Company. Right now, that’s what i really want and where i see myself in the future. Nia: I really want to be an inspiration to other people. I’m not sure whether that will be from performing or dancing, or through music but something like that. 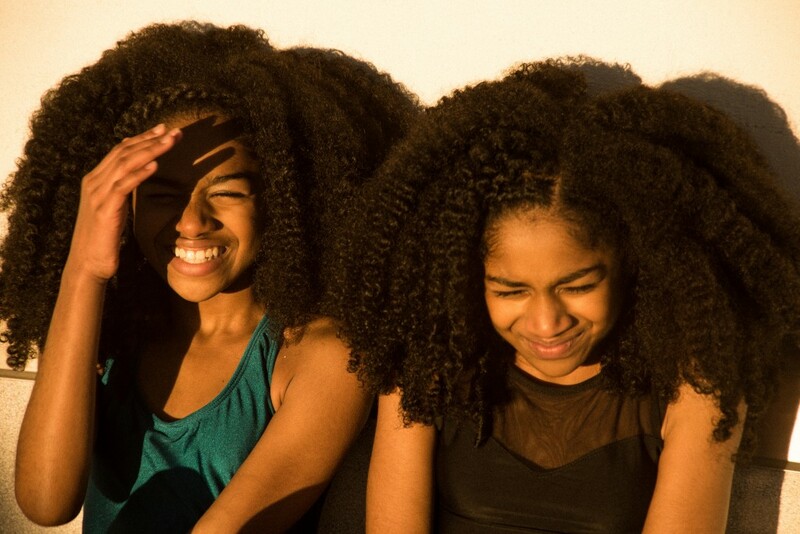 Nia: Sisterhood is important. To me it means helping each other out and always being there for each other. Imani: Yeah I definitely feel like it’s about having each others backs and picking her up when she’s down, because she does that for me. We always support each other.